Developers today recognize the importance of secure software development. Indeed, security was one of the key topics at this month’s DeveloperWeek conference in San Francisco. This level of focus should be applauded. At the same time, however, we must recognize that planning for secure software development is not the same thing as implementing it. In fact, some software development organizations have yet to fully integrate security into their development process. Time and money constraints are a common obstacle for organizations, but developer mistakes can just as readily delay or mislead attempts at integration. It is important for organizations to have a security plan in place from the beginning of the development process. Such foresight allows developers to adopt a secure architectural and design approach, which in turn makes it easier for them to safeguard all aspects of the code as it is created. A well formulated security plan is particularly important to today’s software users, who have come to expect that developers will provide them with secure offerings. Organizations would be wise to resist the temptation of “rolling their own” security in software, particularly when it comes to authentication models, encryption, and other complex functions. There’s no need to reinvent the wheel. Developers should instead leverage the work of others who have already developed proven, validated secure code and processes. Time has shown that those solutions work, which means that they can help increase developers’ confidence in the security of their projects. Development teams need to make sure they know the origin of the libraries they use as well as the code they incorporate from other sources. They should also determine what security validation, threat modeling, and other assurances have been applied to any third-party code they leverage in their products. 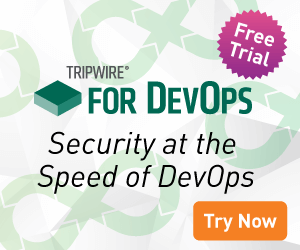 Ultimately, Loihl and other Tripwire experts believe developers should not rely on “security through obscurity.” Some developers either hide their implementations of security or believe that a very complex implementation will help make their products more secure. In fact, the opposite is true. Effective security implementations that are built on proven approaches will stand up better to peer review–a cornerstone of good security that increases the likelihood of discovering and addressing security weaknesses before software is shipped out to customers. To learn more about secure software development, including what you can do to clearly highlight its benefits to senior leadership, please click here.